Didn't make the cut for your high school band? Well, here's your chance to not only shine, but also set a world record. The Embassy of Indonesia looks to set a new Guinness World Record for the largest ensemble of angklung players as part of the Indonesia Festival on Saturday, July 9 from 1 to 9 p.m. on the National Mall. 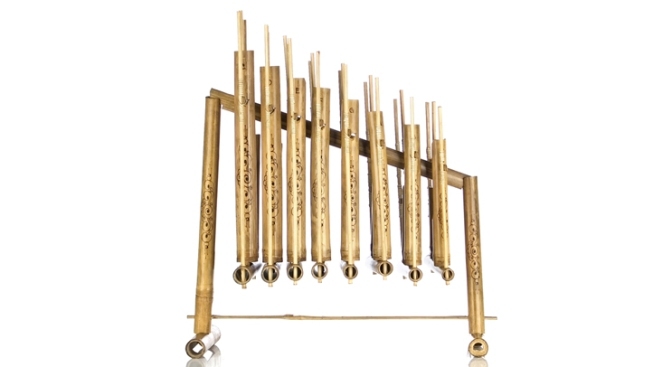 Angklung, we're guessing you didn't know, is a musical instrument of Javanese origin made completely out of bamboo. Now, even though the angklung isn’t a familiar instrument, don’t fret, because it’s very easy to learn. All you need to do is “shake it and sway it,” said Dino Patti Djalal, the Indonesian ambassador to the U.S., in this video demonstration. The angklung is a collective musical instrument and what makes it unique is that each musical piece can play only one chord, either a do, re or mi, Ambassador Djalal said. You’ll receive a certificate stating your accomplishment (ooh, paper!) and if that weren’t enough, men will get a Balinese udeng hat and women a scarf. Organizers recommend sporting either a red or white top so it’s easier for them to identify participants. There are many requirements the ensemble has to meet to set the record, including the length of the song (at least five minutes) -- and it has to be one that people can recognize. The fest kicks off at 1 p.m. with exhibits and multicultural dance, music and martial arts performances. Grammy-nominated singer Raheem DeVaughn will perform starting at 4:30 p.m., followed by an angklung performance by internationally acclaimed Maestro Daeng Udjo. Then the band Air Supply, as well as Brazilian and Indonesian musicians, will perform from 7 to 9 p.m. The embassy encourages people to register beforehand to be a part of the ensemble at infofest2011@embassyofindonesia.org.